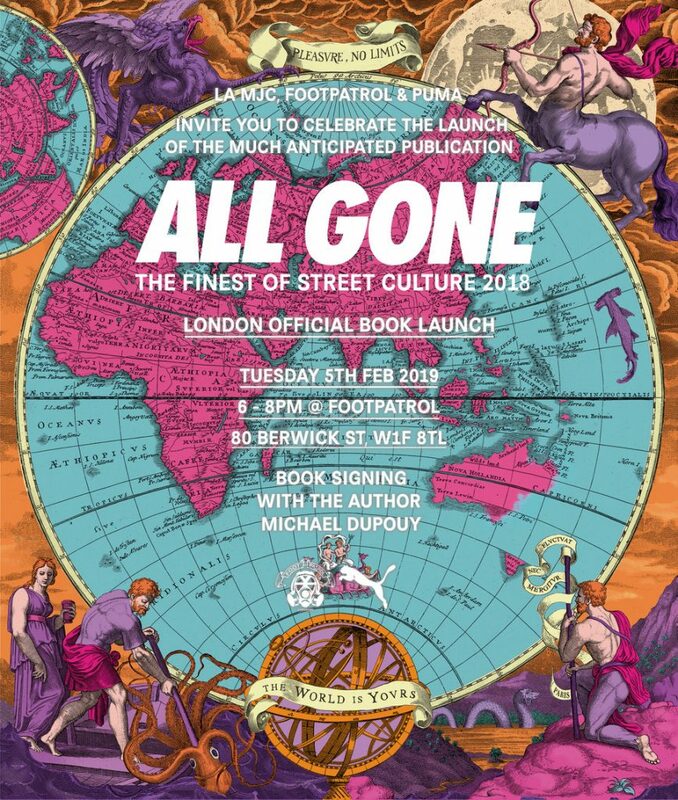 To celebrate the launch of the much-anticipated publication “All Gone – The Finest of Street Culture 2018”, PUMA and Footpatrol will be hosting an in-store book signing with Author Michael Dupouy at Footpatrol 5th February, 6 – 8pm. 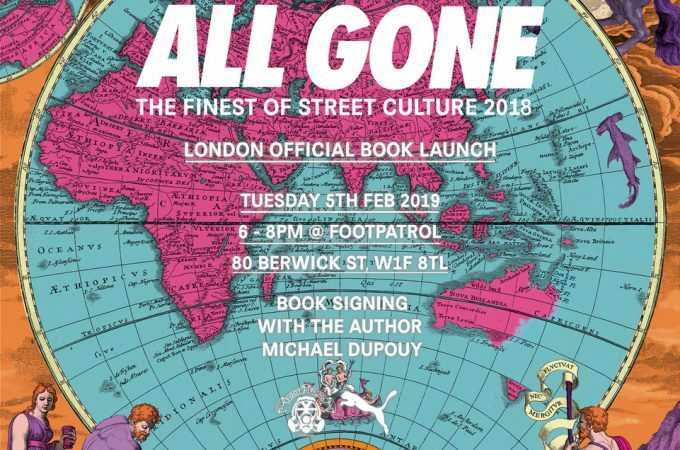 La MJC’s annual All Gone has documented the most sought-after streetwear items in a limited-edition book every year since 2006. A must-have for streetwear heads, the latest volume, All Gone 2018, profiles the brands, sneakers, and exclusive rarities that made last year the year for street culture.